Love the glitter? So do we! It's in the letters and the nurse's cap. (Click on the pic to get a closer view.) 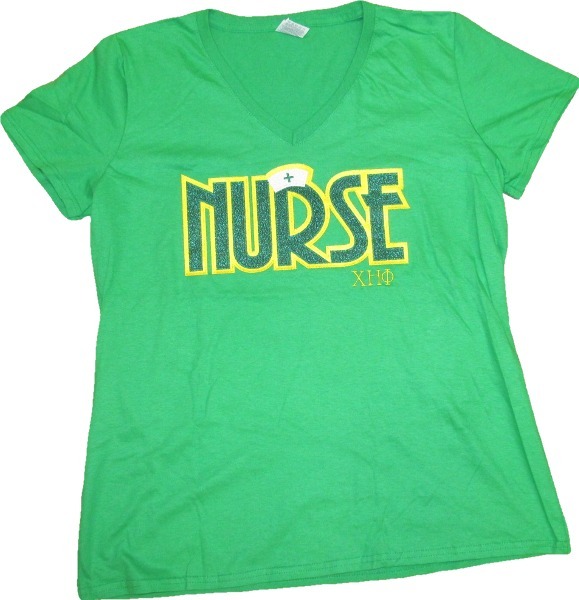 Add this beautiful stitched letter shirt to your collection. 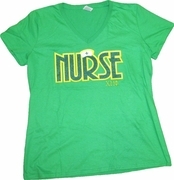 *Note - ladies cut tees are made to accent a lady's curves, and run a little small. Ladies desiring a fuller cut should order unisex tees for best fit.